I love a good arm party. Stack on the bracelets and I'm feelin' fine! I was so excited to discover Blossom Boutique from a friend this past fall. I shared this a beautiful bangle stack in September. 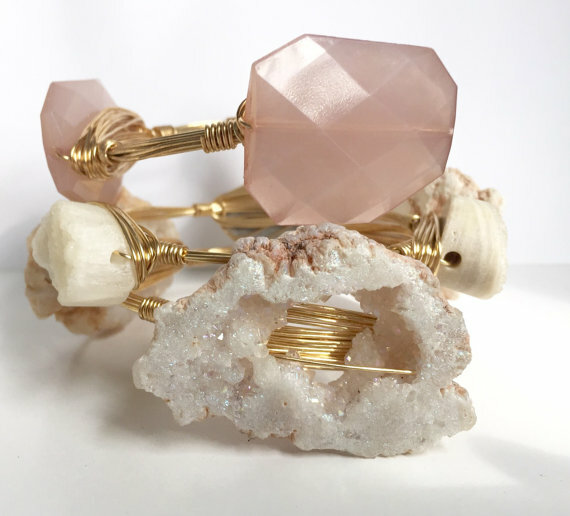 Blossom is a handmade jewelry boutique currently on Etsy. They provide a host of stylish jewelry with new styles being added almost daily. Custom design is offered for no additional charge. You tell us what you have in mind, and we will work with you to create exactly what you have in mind! Lauren Harrah, the owner and operator, decided to launch her own business after years of making jewelry as a hobby. "It's not really working if you love what you do!" Blossom is excited to introduce new designs, brand new products, and is preparing to launch a brand new website for Spring! You can find Blossom on Instagram, Facebook, and Etsy! Here's an arm party I was rockin' of hers earlier this month. Russ got me the Pink Blossom bangle for Christmas to add to my collection. 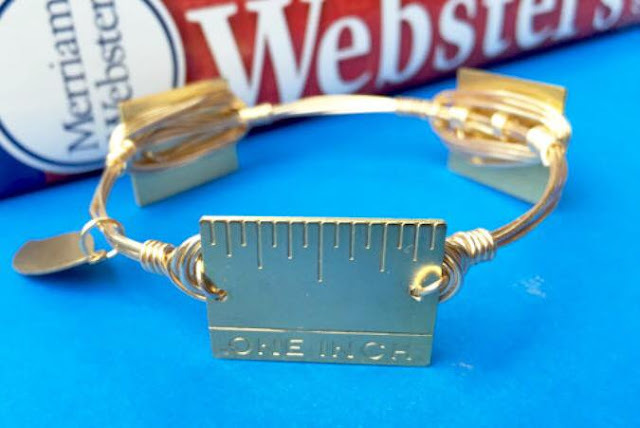 This super cute ruler Teachers Pet bangle should be here any day! I'm totally loving this blush stack, too! Totally perfect for the color of the year! Blossom is generously giving away TWO bangles of your choice to a lucky bybmg reader! Enter below.